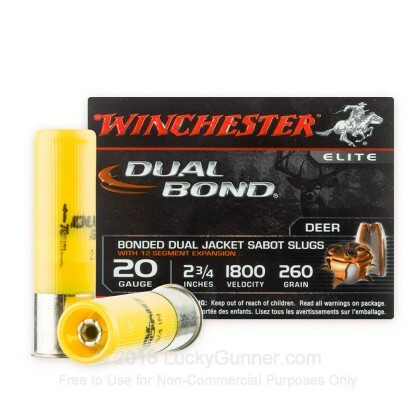 Have your cake and eat it too with Winchester Dual Bond sabot slugs, which give you rifled slug accuracy in a smoothbore shotgun. 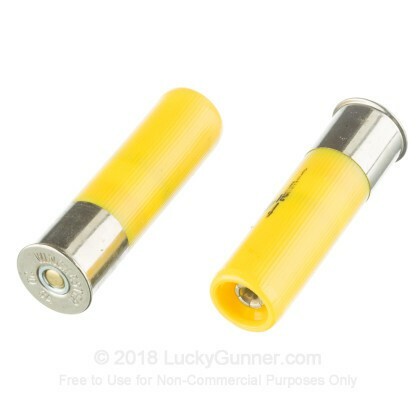 These top quality shells feature a sabot and a 260 grain hourglass shaped projectile designed specifically for non-rifled barrels, although they will work fine in rifled ones as well. The Dual Bond slug features a double layered design with a fast-expanding outer jacket and a bonded inner one that produces mushrooming. 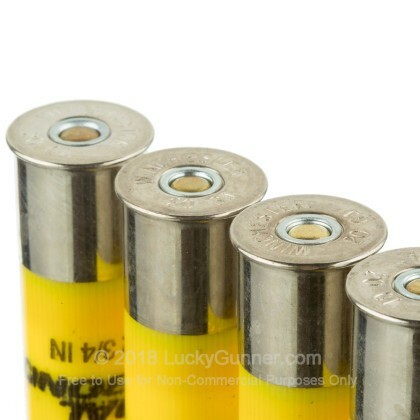 Each shell in this box of 5 fires its payload at a muzzle velocity of 1,800 feet per second, enough to provide excellent accuracy out to several hundred yards while retaining the energy to penetrate tough animal hides and expand by up to 50% of the original projectile diameter. Winchester shotshells are loaded at the company's newest facility in Oxford, Mississippi. 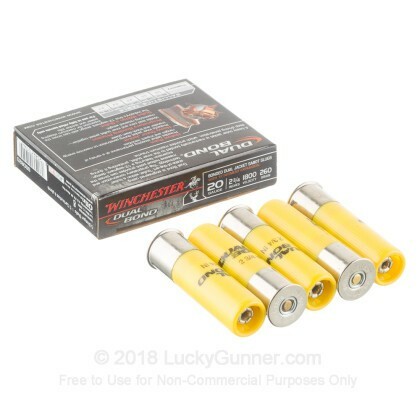 We don't have any reviews yet for this particular 20 Gauge ammo from Winchester. 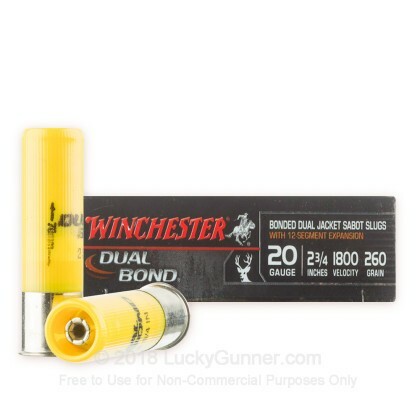 If you'd like to be the first to review this particular 20 Gauge ammo from Winchester, fill out the form below.